But, what if you have a blog, and you feel you aren’t the best writer? When I first started blogging, I was filled with excitement and motivation to write blog posts. But then, someone made a comment on social media that my writing was – junk food writing. For a brand new blogger – and freelance writer – this stuck with me and almost made me quit blogging entirely. But, I’m so happy I pushed passed that nasty comment and am still blogging! I love helping my audience, and I love sharing my best blog tips and if you want to help your audience with your writing, here are my best writing tips. The MOST important thing is writing your blog post. It can be short, long-form, a quick tip or a summary of a YouTube video. Whatever it is, the most important thing for a new blog is pages and content. So, it’s better to have 5 short and quick blog posts than to have a blog “not go live” for 6 months because you’re working on batching blog posts for a launch. On all my blogs I started with only one blog post! Over the years, I’ve refined my writing, and I want to share with you writing tips that you can start using right away. Every blog post you write should help your audience move from point A to point B. People who read blogs are interested in how it can help them – the WIIFM factor (What’s In It For Me?) – and wouldn’t it be great if your blog was the answer to their problems? Framing your entire blog strategy as a way to serve your audience can help you make money blogging too! When you build your blog with that idea, you create an evergreen sticky blog that is relevant for many years to come. So, how do you find the questions your audience is asking? Answer the Public is a keyword generation tool. But, I like to use it to see what types of questions are being asked by my audience. You can create hundreds of blog post topics for your lifestyle blog or niche blog. You know definitively that people are asking these types of questions about breastfeeding so you know that your blog will help them solve that issue! Pinterest has a wealth of ideas to help you find the right blog topic that could help your audience. I often use Pinterest to see what other bloggers in my niche are writing about. It can inspire me and give me some ideas to write about. I’m not going to write the exact same blog post as others, but even if I do, I can make it stand out by writing it in a new angle. Pinterest is a visual search engine so you can plug in your niche topic and see what types of pins are out there. So, you can use this information to find the best type of ideas to write for your audience. 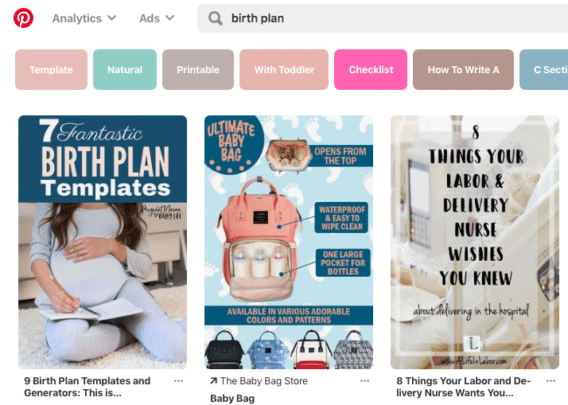 In the birth plan space, Pinners really want to have some sort of checklist or template that’s also a printable. Pinners also want to learn how to incorporate their toddler into their birth plan. By using this information you can come up with several blog post ideas to write. So, once a week or every day you can plug in a niche topic and generate three or four ideas you can write on your blog. A great way to answer problems with your writing is to look at other types of mediums online. 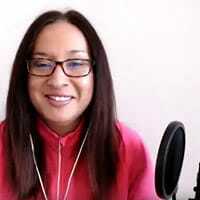 Podcasts and videos are a great way to become inspired to write a blog post. 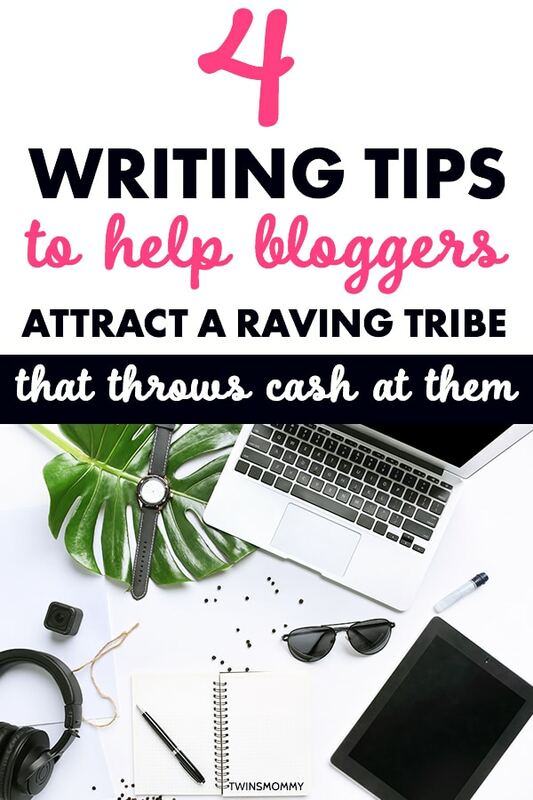 I personally haven’t used this strategy, but I do know other bloggers who have. And what’s great about this strategy is that you can link to those sources as a friendly blogging practice. This not only helps your audience better by providing great information, but it also helps you with networking in the future. Facebook groups are a fantastic way to generate hundreds of blog post ideas. 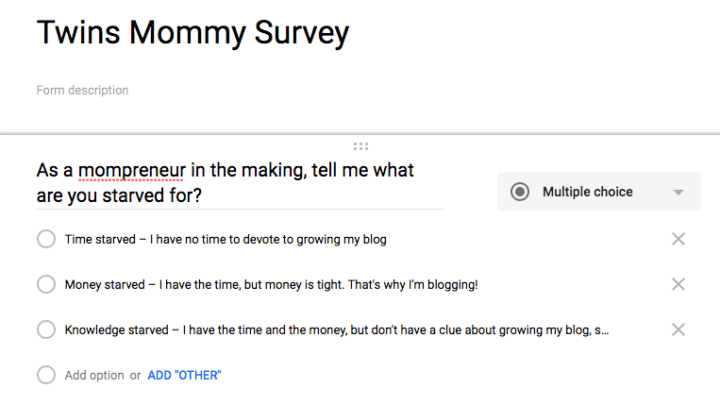 My Mom to Mompreneur Facebook group is mostly a Q/A group, and it’s a great way to see what your audience – if they are moms or mom bloggers – are asking about. 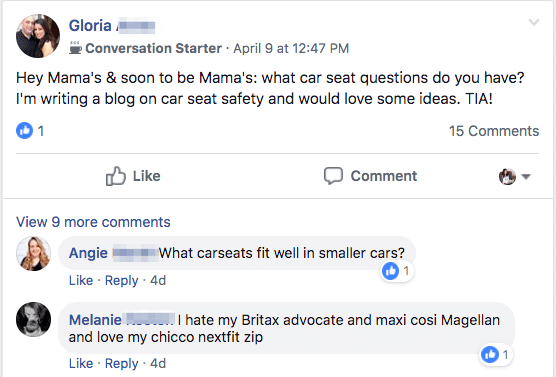 Or, you can also post in a Facebook group letting members know that you are writing a post about a certain topic and are asking what sort of questions people have about that topic. When I first started Twins Mommy this is exactly what I did. This was a new blog with a new audience, and I really had no idea what my readers needed the most help on. 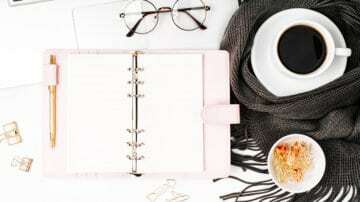 Since Twins Mommy talks about a variety of topics – blog traffic, making money, productivity, email marketing, twin life and more – I wanted my blog to really focus on the right type of topics to help most of my audience. You can use Google Forms or Survey Monkey to create a free survey. If you don’t yet have an email list, you can also post your survey on social media to get some general feedback about your ideal audience avatar. Many bloggers look to magazines, books, TV, or movies to draw inspiration. I don’t use this tactic to find blog topics as the things I watch aren’t related to my niche topics! But if your niche does lend itself to the masses – parenting, health, organizing, etc. – then this method can help you find many topics for writing. What I often do is look internally, and this is a fantastic method for brand new bloggers. What problems are YOU having right now? Can you blog about it? This tactic gave me many ranking blog posts on Google. Because if you have the problem, it’s a good bet hundreds – if not thousands – of other people have that same problem. Bucket brigades is a copywriting tip that helps readers stay on your blog longer. Essentially, a bucket brigade is some question, partial phrase, or idea that gets the flow going and to help the flow of your writing continue. The job of a bucket brigade is to get a reader to read that first sentence and then move on to the second sentence and so on until they read your entire post. 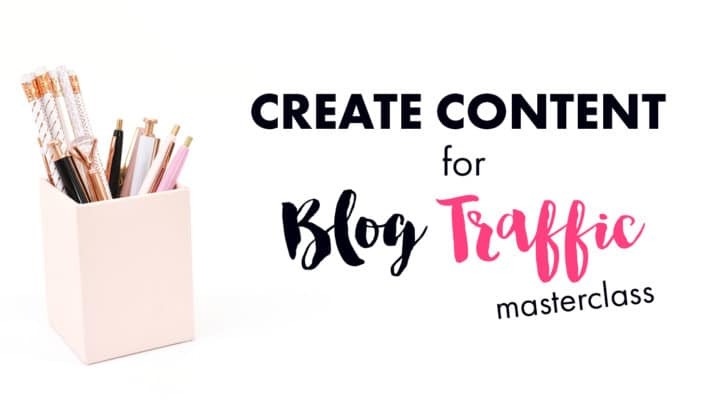 I love using bucket brigades when I write, and it’s an easy tactic for new bloggers to incorporate. As you can see, the actual writing of your blog post isn’t entirely important; rather, it’s the way you frame your writing. Your headline is what can get the ball rolling and increase your click-throughs and website traffic. An easy way to have great headlines is to use the 4 U’s of copywriting. It’s useful – Even if your blog post is mostly personal and a story you want to share, you can craft an audience-driven headline by making it useful. A blog post idea like “Why Reading to Your Child is Important” isn’t that useful. Why? Because most people already know this. But, you can spin this topic by writing this: “5 Simple Ways to Teach Your Toddler to Read (and Enjoy it).” This topic is useful because it provides a strategy. It’s ultra-specific – Your headline should focus on one main thing. It’s okay if it’s a round-up post or listicle, but it should be about one main thing. I made a mistake for this post, and made my headline a dual headline: “What to Blog About + How to Write a Blog Post.” This didn’t do well, so I removed the last half of the title and focussed on what to blog about instead. Reading a blog post is different than reading a newspaper or book. People are mostly skimmers online. It can be because we are busy and don’t have time to digest information. But, I do know that many people sit and read my long-form blog posts of 7,000+ words. It’s because I made it super easy to read my blog posts. And this is done with your formatting. When your blog has a long content width, it’s harder for the eyes to track each line. I know it is for me and if I see a blog with a long content width I have to shorten my browser window. Of course, if I’m reading this on mobile, this converts to long blocks of text (one sentence on a long content width wraps around several lines on mobile). To avoid all of this, use a shorter content width. The WordPress theme Astra makes this very easy when you customize your theme. 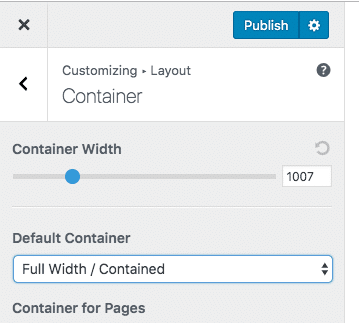 You will have to play around on your WordPress theme to see what looks good but shorter content width is better. The secret to making online readers go from skimmers to reading your content is to increase your font size and line height – the space between sentences. Each year it seems that font size increases. Currently my Twins Mommy font is 18px, and my line height is 1.6. Again, play around with your theme to see what looks best. Subheadings break up your posts, and it can help you rank in Google too. Google uses feature snippets to show a blog post visually, and it draws from the blog posts subheadings to organize their list when they show the feature snippet. Subheadings also tell Google what your blog post is about and is an easy way to add keywords to help with SEO. You can also use images to break up your text and make it more reader-friendly. I like to add screenshots and images with most of my subheadings but not for every subheading topic as this might be too much. Use your discretion when adding images to your blog posts! Make it easy for people to read your blog post by having shorter paragraphs. In school, I was taught that 5-6 sentences constituted a paragraph. But, not for your blog! That would translate to a big block of text. Instead, break up your writing by having 2-3 sentences or even 1-sentence paragraphs. Over the years, I’ve made my paragraphs shorter and shorter, and that seems to help with retaining readers! My best writing tips to have a great blog post. With those foundational writing tips you can start honing in on your audience so that you can grow your blog traffic. 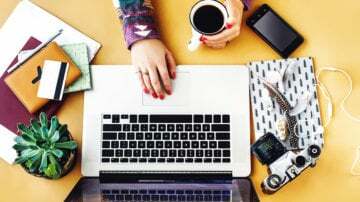 Over to you – what are your best writing tips you use when blogging? I’d love to hear them! Need a Content Plan to Help Grow Your Traffic? I just devoured this blog post!! I’ve always loved how easy your blog posts are to read and it’s awesome to see your best beginner blog writing tips collected together!! I definitely agree that good formatting will make or break your blog post – it’s something I’m working on and you’ve reminded me that I need to keep working on. Thanks for your blog writing tips, Elna! So glad you found this post helpful! Yes, how you write your blog post is important as well as how it looks. Glad this post reminded you to keep at it with formatting your content!